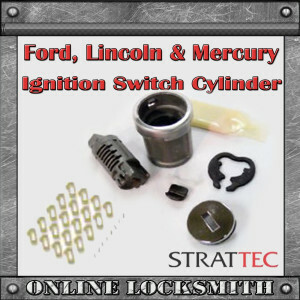 Is your Ford Focus ignition stuck? Will the key not turn smoothly? Many Ford owners are familiar with this feeling. For some reason the 2000, 2001, 2002 and 2003 Ford Focus and many other Ford models experience an issue with the ignition switch cylinder where it seems like it can stop working at any moment without any prior warning or signs. As a locksmith this is the most common ignition repair job I have done, repairing sometimes up to 3 Ford Focus’ ignitions a week. Lucky for us though, the aftermarket ignition is very easy to get and by far much more reliable than the original one, because it doesn’t have the unreliable side bar system. Here is a “How to” guide to replace your malfunctioning ignition switch cylinder. Please be aware that we are not responsible for any damage you may cause to your vehicle performing this task. Step one: Match New ignition to old keys. 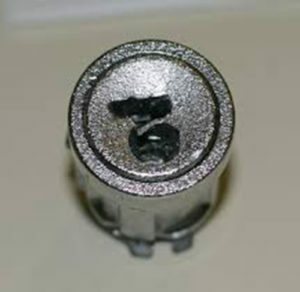 If you purchased an un-coded ignition switch you will need first to key it to your current keys. This will keep your car with only one key (instead of one for the doors and one for the ignition). Also, if your vehicle uses a transponder key system, that will save you money since you will not need to cut new keys or program them. Look at your car key; the hardest part is to recognize the depth of each cut. You should do it by looking at the blade. There are 8 cuts and 5 depth options, whre1 is flat or almost flat, and 5 is the deepest cut. Insert the matching wafers (#1-#5) by the order (#1-#8).Each wafer should click gently into the slot. Do not force it in, it has only one way to slide in. Insert your key to the cylinder. All the wafers should go flat and aligned to each other.If any tumbler/wafer isn’t aligned that means you chose the wrong depth for this cut – change it and try again. At the end of this process you should be able to turn the key in the cylinder housing smoothly. Insert the Cylinder into the housing from its back side. You will need to turn the cylinder until it’s in ¾ of the way so it will fall into place. 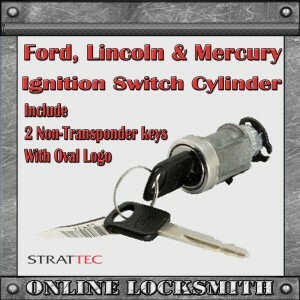 Make sure your new ignition looks like the old one and the key is turning smoothly! Step two: Replace Malfunctioning Ignition Switch Cylinder . If you can still work your key to turn the switch on then turn it and stop it on ACC mode and jump to step #4. If you can’t work your key to turn try to lubricate everything then jiggle the key and tap on it while you try to turn it to ACC mode. If the key still did not turn, you will need to drill your ignition out, which is a much more complicated task so you should find a professional to do it for you. Insert your new ignition at the right position into its place. Do not use force! it has a position in which it should go in smoothly. If not, you’re doing something wrong.